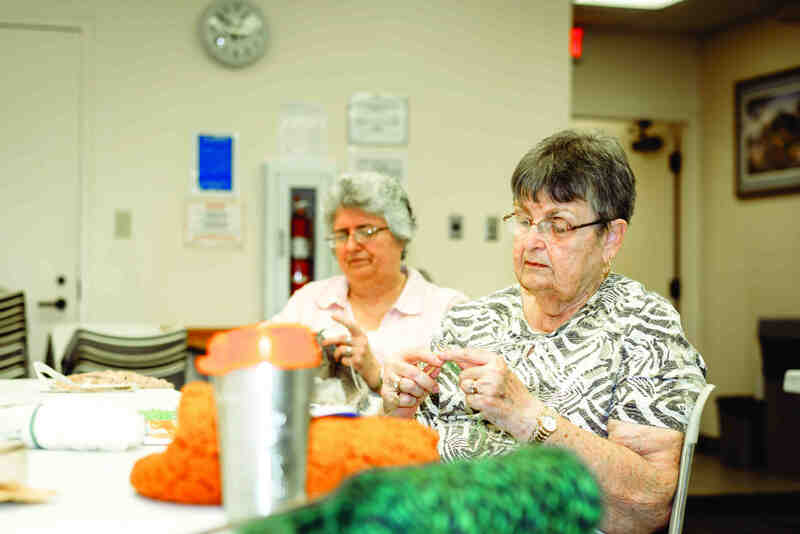 Members of the Knitting Plus More group come together on Tuesday afternoons at the Hugh Embry Library in Dade City to work on their personal projects, chit chat, discuss ideas and share useful information. Occasionally, they work on projects together, such as making hats for infants in the hospital. There is no cost to join and people of all skill levels — even those with no experience —are welcome. Using a pattern called ‘Teal Gingham,’ Carol St. Amour, of Zephyrhills, uses an aluminum crochet hook to crochet her yarn into what will eventually become a blanket. She is a member of Knitting Plus More, a group that meets on Tuesdays at 12:30 p.m., at the Hugh Embry Branch Library, at 14215 Fourth St., in Dade City. 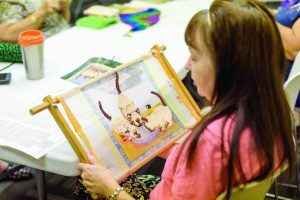 Lori Cooper, of Zephyrhills, works on her ‘Siamese Kittens’ needlepoint pattern by designer Jean Day during a recent meeting of her group Knitting Plus More. The group meets every Tuesday at 12:30 p.m., at the Hugh Embry Branch Library in Dade City. 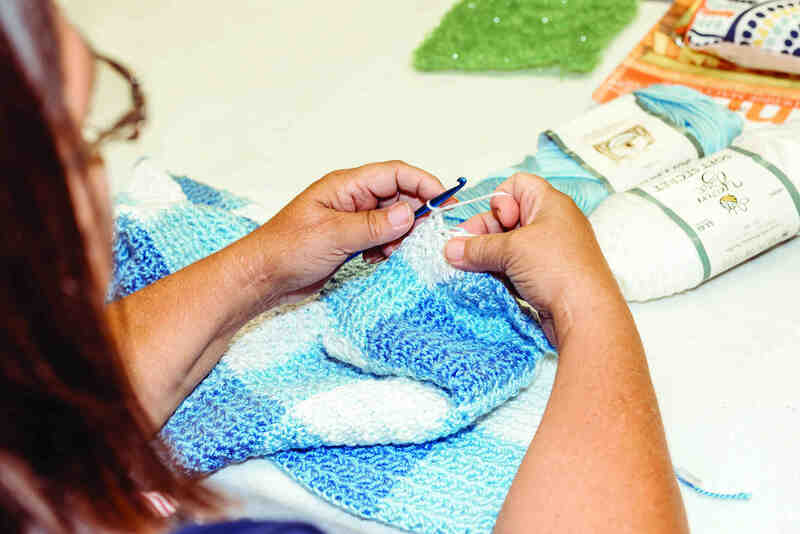 Members bring in whatever project they are working on and share in conversation while they stitch.